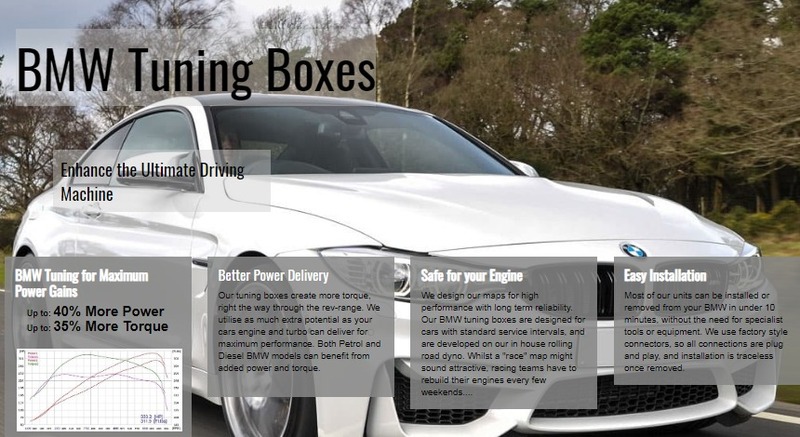 BMW Tuning Boxes, for increased power, torque & performance. Chip tuning for BMW Diesel & Turbo petrol cars. For 1,2,3,4,5,6 & 7 series, X3, X4, X5 & X6 models.